I took some heat for my use of a throttle-powered e-bike to get around the show yesterday, but I think my back bore the brunt of the abuse when I had to carry it up a few flights of stairs. I’m not sure it was worth the burnouts, so today’s tour was courtesy of an equally strange and strangely fun machine from ElliptiGo that has no seat and giant toe-strap pedals. Is it weird that I felt at home on it? We stopped in at HT to see their new pint-sized kids pedals, then rolled over to look at Factor Components’ new hubs. Much shininess. Speaking of shiny metal, the guys from Pole traveled to Sea Otter from Finland with their new Stamina 140 that’s glued together instead of being bolted. Going from metal to carbon, both Race Face and FSA pulled out their new and very light cranks, and FSA was showing off their new Gradient carbon fiber handlebar, too. 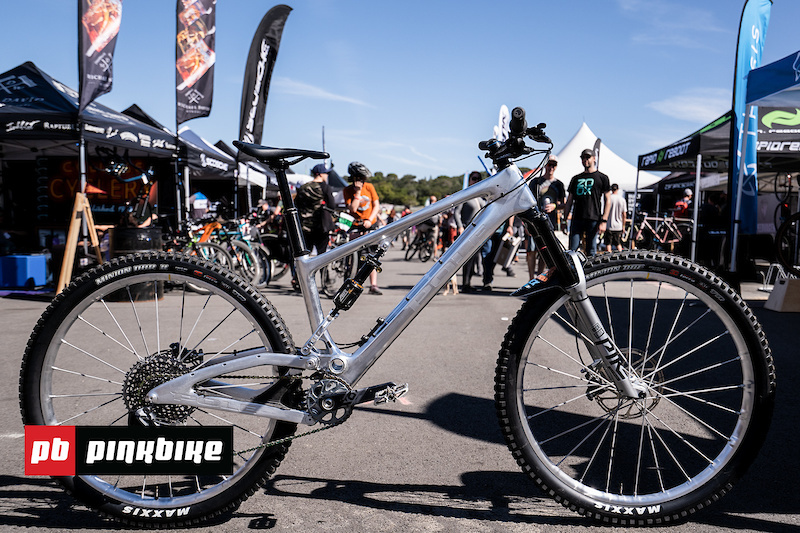 RC spent the day getting sunburnt in search of new bike bits as well, with his finds including a very cool full-suspension kids rig with geometry lifted from full-sized bikes, and Yeti’s modified SB130 Lunch Ride model. On the clothing and protection front, Sarah Moore tracked down a load of new helmets and checked out Giro’s new Renew Series of jerseys made from reclaimed nets and ocean debris.